Having acquired the Landscape Design speciality, persons with extensive knowledge of the requirements for landscape design and ability to apply the technologies of ornamental plant cultivation, can successfully rearrange or set up new green plantations, maintain them and tastefully arrange the plants, as well as provide plant design services and consultations. LD graduates can work as landscape designers in landscaping companies, nursery gardens of ornamental plants, farms, public parks and squares, botanical gardens, in the field of flower arrangement and develop other activities through rendering of landscaping services and services of interior decoration using plant compositions. Qualification acquired by the graduates give them an opportunity to design landscape in private and public sectors and the ability to evaluate landscaping peculiarities of squares, parks and homesteads, as well as novelties from functional and aesthetic points of view. 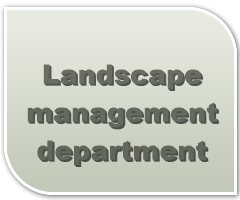 The study programme is designed for the training of highly qualified landscape designers able to apply factual knowledge in environmental management and to organise planting works arranging technical and working projects and supervising performance of particular work. The Landscape design study programme is prepared according to the general requirements of the First Cycle and integrated study programmes and Standards. The scope of the study programme is 180 credits, which are divided in the following manner: the scope of general education part – 21 credits; the scope of the study field part – 150 credits, of which the scope of the subjects in the study field part - 101 credits; optional courses (alternative) – 7 credits; the scope of the professional activity practical training part – 33 credits; preparation and assessment of the final thesis – 9 credits. Scope of the optional courses part – 9 credits. They can be chosen from the list of courses published on the KSC website.